The 2018 Slingshot Alien Air is a great board for learning and progressing. The Alien Air is slated for slightly heavier riders and for riders who are mostly foiling in lighter winds. The added nose scoop also helps with gliding through chop. 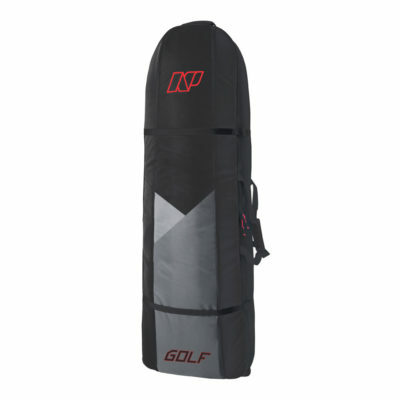 Constructed with durable carbon composite rails and strut reinforcements. The 2018 Slingshot Alien Air has a concave deck, full deck pad, and footstrap inserts. 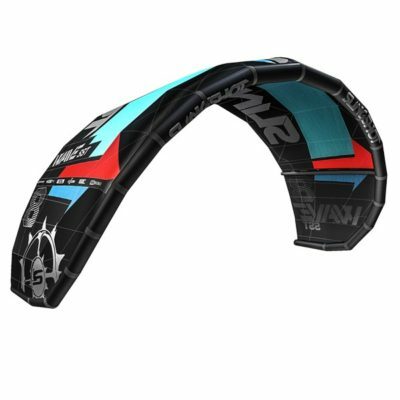 The Alien Air can be ridden with 3 straps (race style) 2 straps (surf style) or strapless. 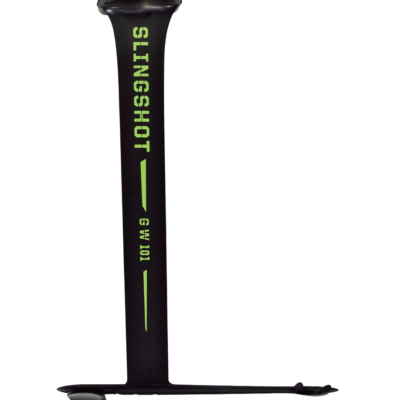 The 2018 Slingshot Alien Air was redesigned in 2017 to make it an easier board for learning. 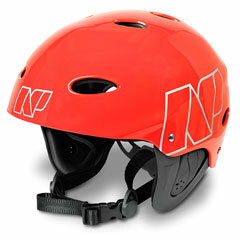 It’s also great for intermediate and advanced riders. Compared to the Dwarfcraft board, the Alien Air is slightly longer (2″) and wider with more volume. Advantages of the Alien air compared to the Dwarfcraft? 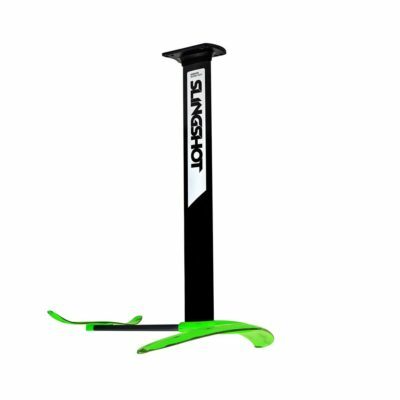 The added length and width and volume makes it easier for heavier riders to get up on the board or for riders who are always riding in light winds to have enough board and volume to get up and ride. The fact that the board is NOT a lot longer still makes it nimble for more fun riding. A really LONG board will be sluggish when turning. Shorter boards are much more fun when turning and slashing. 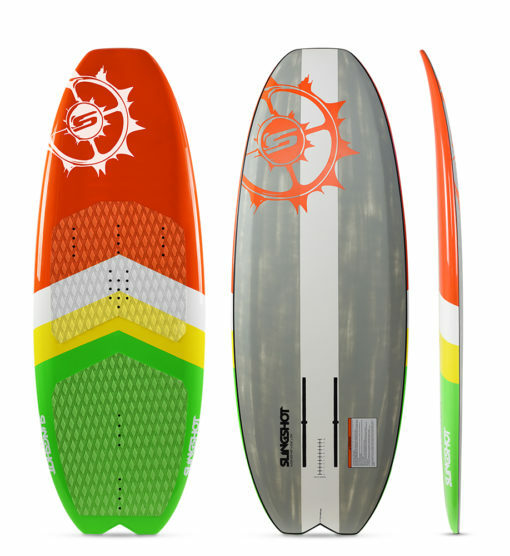 The added nose scoop helps to power through choppy waters with ease. • Stout, stable and buoyant: User-friendly board for all abilities. • Great option for entry-level foilers through experts. • Wide body, aggressive rocker helps prevent nose diving. • Concave deck creates agile handling w/ subtle movements. • Adjustable pedestal mount for varying foil positions. 2017 Alien Air: The Alien Air returns to Slingshots lineup as a proven board for all-around performance and user-friendly foiling progression. Featuring a robust concave deck, scooped nose, wide body and movable track mounting system. 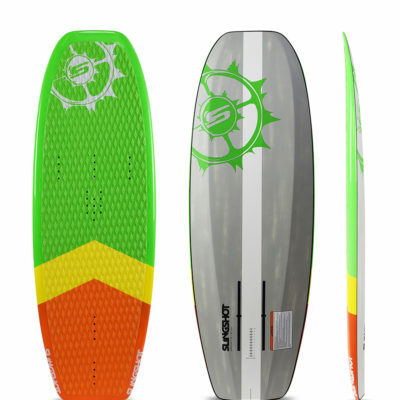 The Alien Air is a board that will get you up, foiling and having a blast. A wide body provides stability and a large surface area to move about as you please. An aggressively scooped nose makes a dramatic difference in recovering rather than crashing when you nose-dive. As with all boards in our foil lineup, the Alien Air features bomber Slingshot construction and was designed by legendary shaper Tony Logosz.